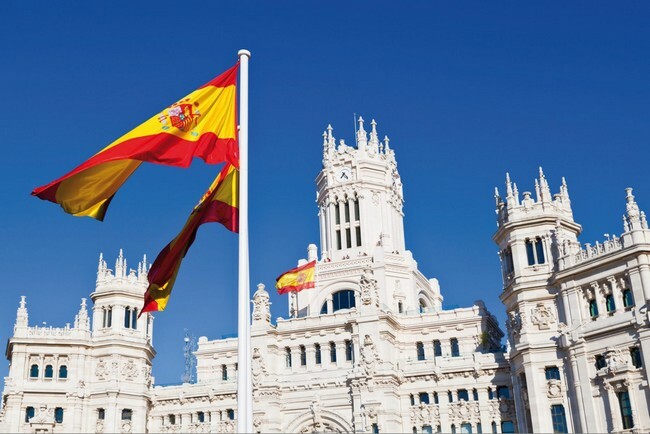 Spain – a country full of life, a nerve-wrecking bullfights, and colourful flamenco. It is a dream to be visiting there. Originated from the Roman name of “Hispania”, Spain is actually the second largest country in Europe, next to France. It is situated in Europe’s Iberian Peninsular which includes 17 autonomous regions with diverse geography and cultures. Spanish cuisine is highly influenced according to regional cuisines. Their unusual geography and climate also influenced the method of cooking and also the ingredients used in their daily meals. Spanish delicacies derived from a complex histories of invasions and conquests which then modified the traditions. So, it’s a must to try their unique food. Here some of the Spanish food you should try when visiting Spain. One Spanish food you should try looks like a tantalizing tomato soup isn’t it? 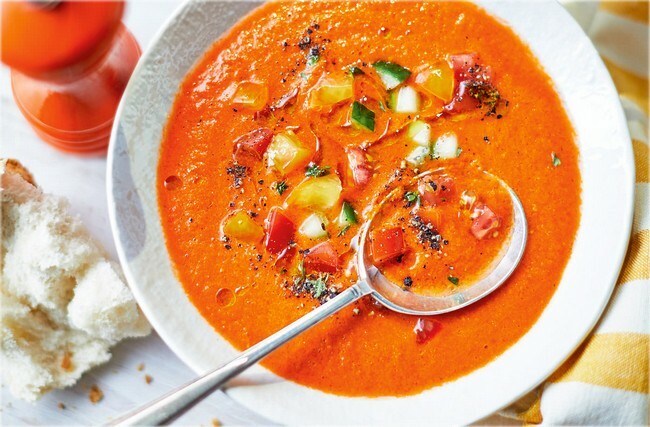 Gazpacho is traditional Spanish food that is made from scratch. It started from choosing the reddest and ripest tomatoes, adding some olive oil, garlic, bread, peppers and cucumber which are then blended to a smooth consistency. After that, it is chilled and poured into bowls or glasses. It’s that simple! The Spaniards community typically eat them every day in the summer at home, sometimes at some local bars, to beat the scorching sun. 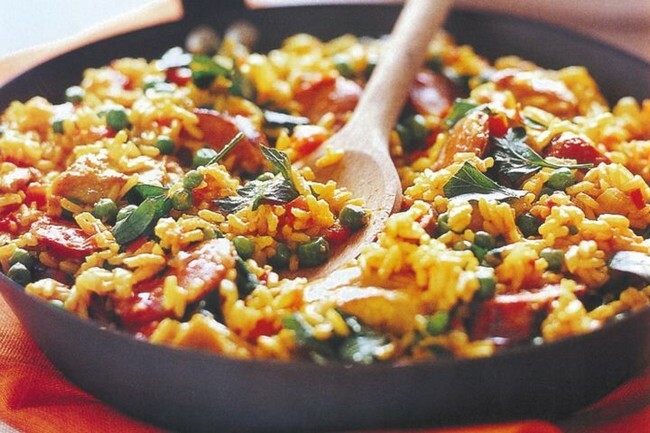 This Spanish food you should try because well, it is super popular! Looks familiar? It kinda looks like a different version of our nasi goreng, but we assure you, Paella is more than that. It’s a traditional Spanish food, well, originally from a Valencian community in Spain, which includes ingredients like chicken or rabbit, saffron, runner beans and butter beans. And last, but never the least, rice particularly from the bomba or calasaparra varieties grown on Spain’s east coast, which are said good for absorbing all the flavours. A must-try Spanish-food ever! You’d be missing the best part of Spain if you don’t try one of this delicacies. It’s not a meal, it’s more to an appetizer if you must put it in words. Tapas are a part of the Spanish culture and tapas could be anything. Ever seen people in the movies at a party are served by the waiters or waitresses with mini food in a tray? Yes, our dear readers, those are called tapas, and as you read further down this article, we’ll give you a few examples of them. The next Spanish food you should try is probably the most simple recipe out of the list of Spanish food. All you need it some eggs, potatoes and put in some onion – Voila! Oops, wrong country. 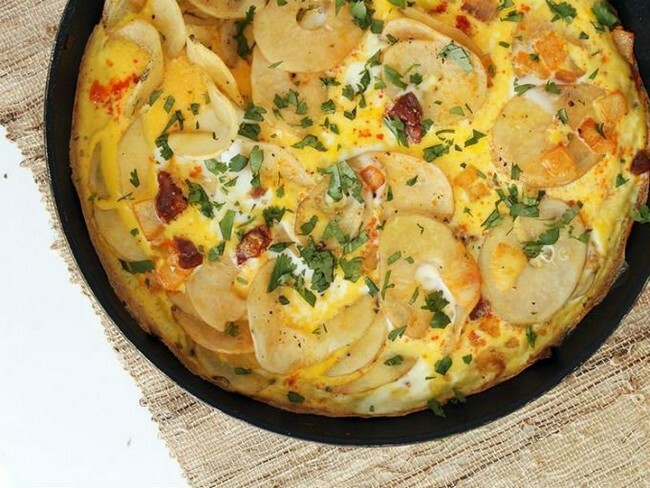 Anyway, this Spanish omelette is a cuisine you sure don’t want to miss when visiting Spain. The potatoes and onions are first slow fried in olive oil then it is mixed with beaten eggs so that the flavours can be mixed into one beautiful concoction. Add a little bit chorizo, ham, spinach, courgettes or whatever you can think of, and you’ll have one tasty meal. 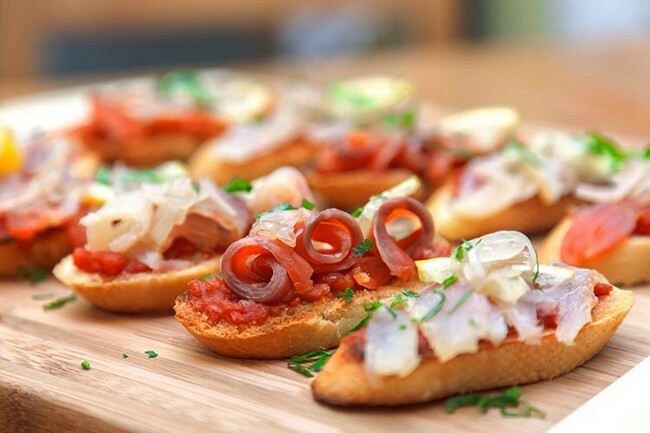 This is an example of tapas, it is an easy, tastebuds-tantalizing treats. Popular in the Southern part of Spain as it is near the ocean and seafood are a vital part of their cuisines. This dish are easily found in local bars and restaurants everywhere, sometimes served as a main course. 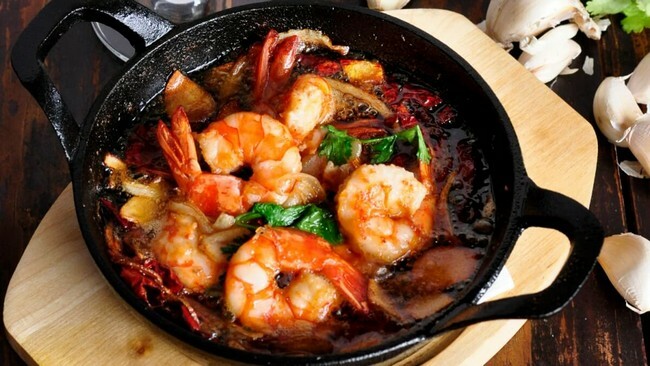 The main ingredients are commonly consist of shrimp, garlic, and olive oil. This classic delicacy will almost always includes some dry sherry (Vino de Jerez), some sweet Spanish paprika, a dash of lemon juice and also parsley. Another Spanish food you should try is a warm dish. This hearty dish of warming stew of beans and sausages are a local favourites as well. 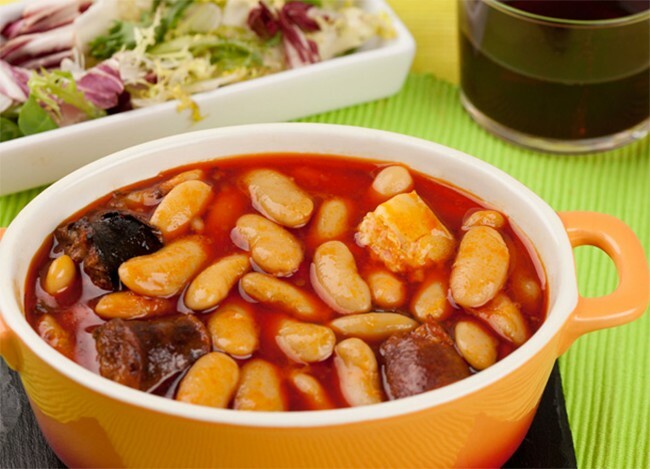 Fabada Asturiana which originates in the Northwestern part of Spain will need more than a regular bean and sausage in their recipe. The traditional one are usually requires some fabas (locally-grown large white bean), chorizo, morcillo (Spanish blood sausage), smoked paprika, and saffron. This filling stew has a high nutritional value and generally served during the cold winter months in order for them to keep warm. Chorizo or basically what we typically call a sausage, is not so typical at all. 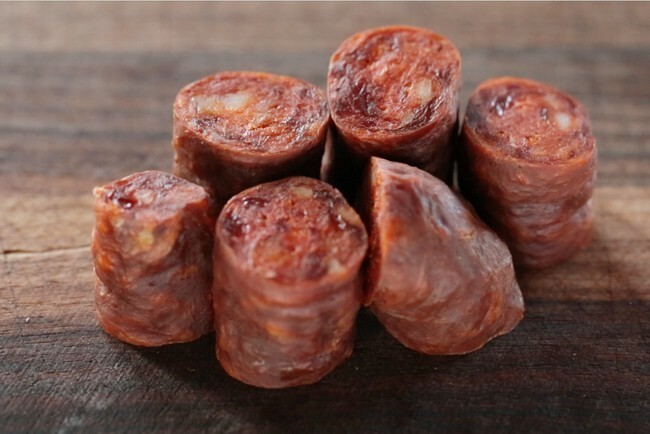 It is an undeniable scrumptious pork sausage made with lots of garlic and pimentón (Spanish smoked paprika). The Spanish Chorizo can be either sweet or spicy, served raw as a tapas, or it is added in a variety of dishes as the aforementioned, Fabada Asturiana. Chorizo can also made into different types such as chorizo Zamorano, the sweet Chorizo de Pamplona, Chorizo Riojano, Chorizo Patatero (made with potatoes) and many more. One of the Spanish food you should try, for those who can have it! Got your tongue twisted saying? Ours did too. And surprisingly, the word Alioli is not even originated from Spanish – it’s from the Middle East – well, according to Jamie Oliver anyways. It carry the meaning of garlic mayonnaise. Allioli on the other side, is a Catalan sauce which consist of garlic, olive oil, and salt. Pretty similar isn’t it? 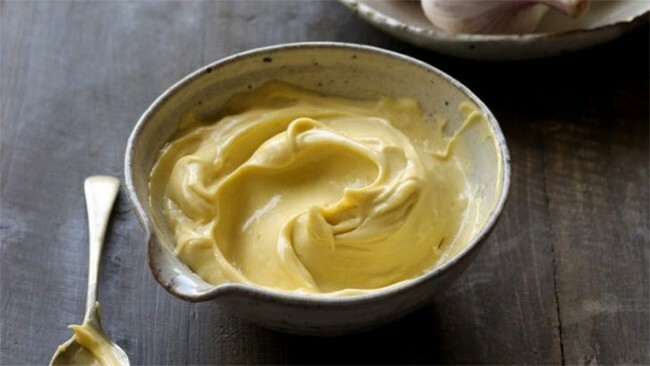 And lastly, Aioli is a Provencal term that describing the same dish of garlic and olive oil. 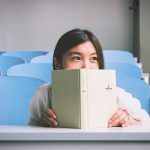 Hurt your head understanding these terms? So did we. This sauce is usually eaten with some of Spanish finest tortilla, fish or even baked potatoes.